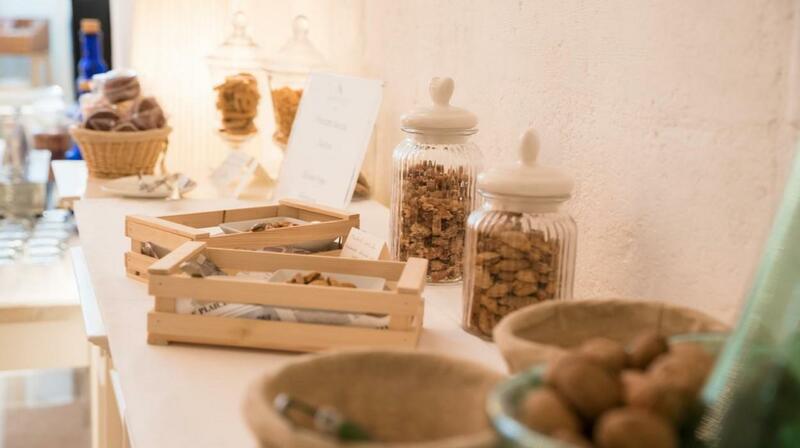 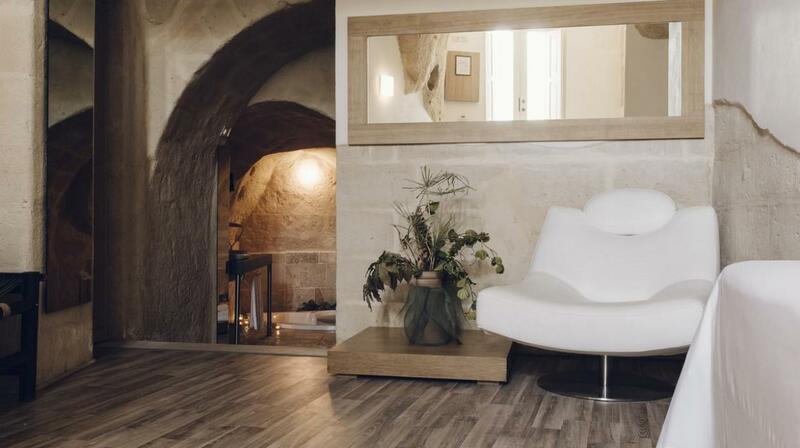 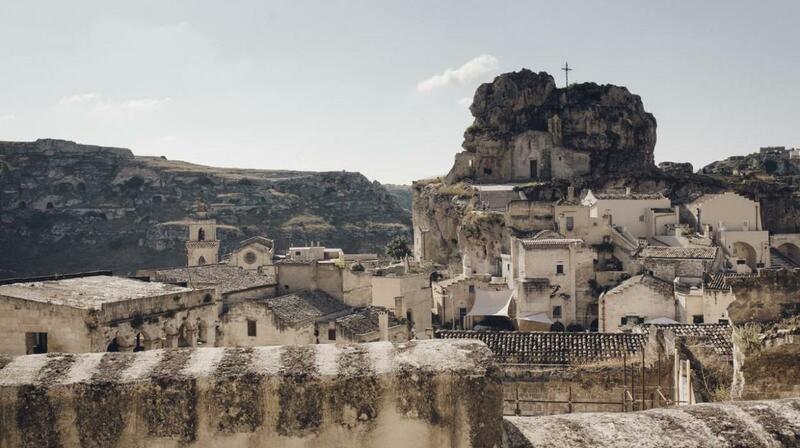 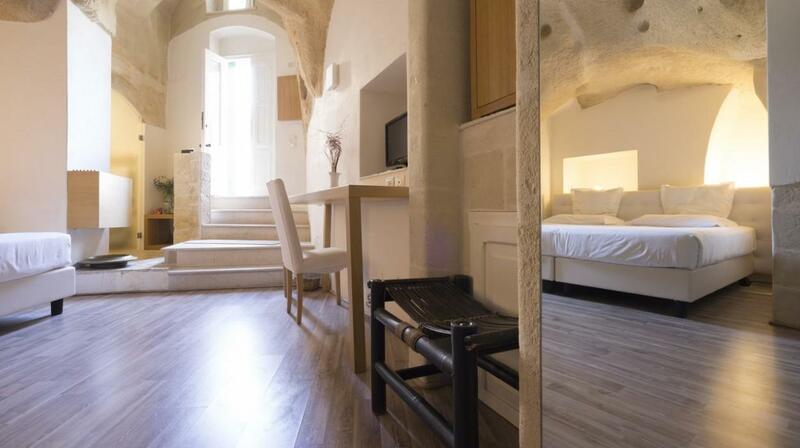 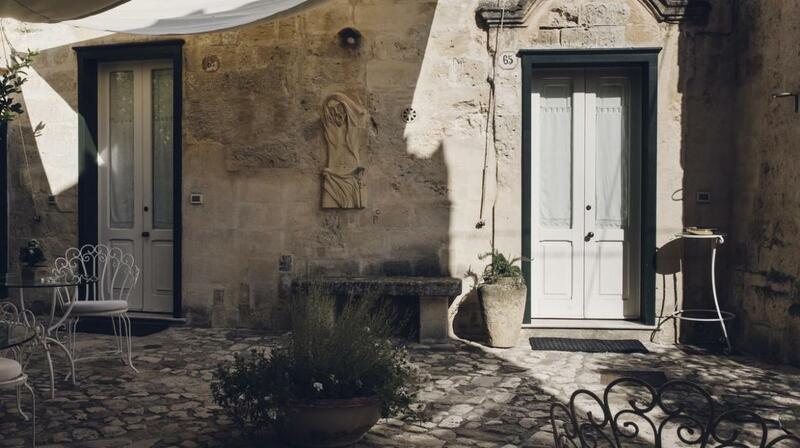 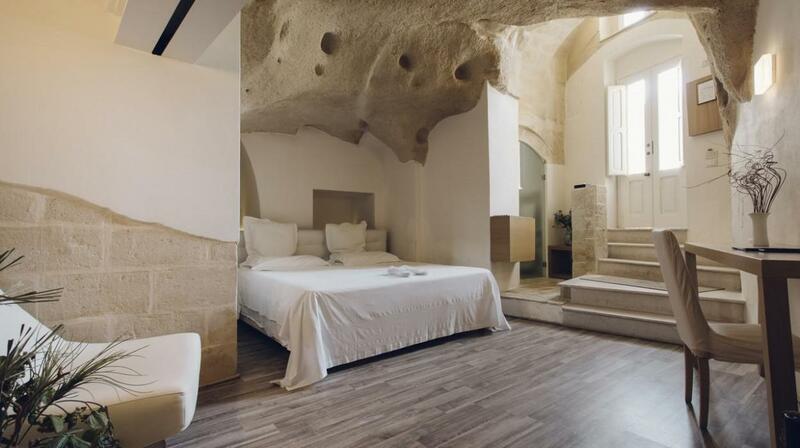 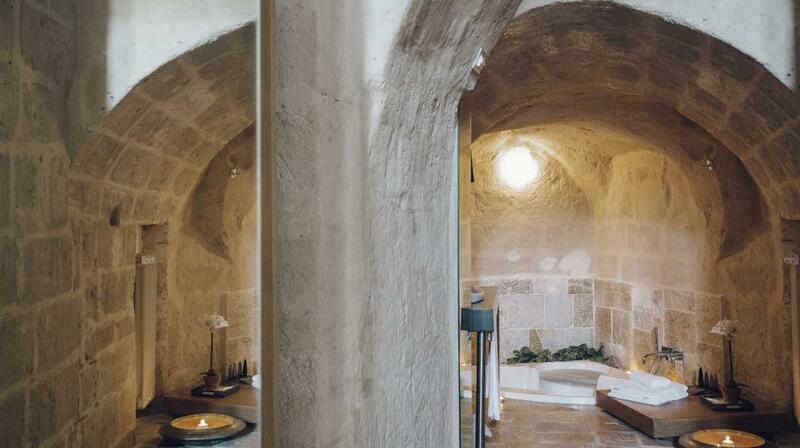 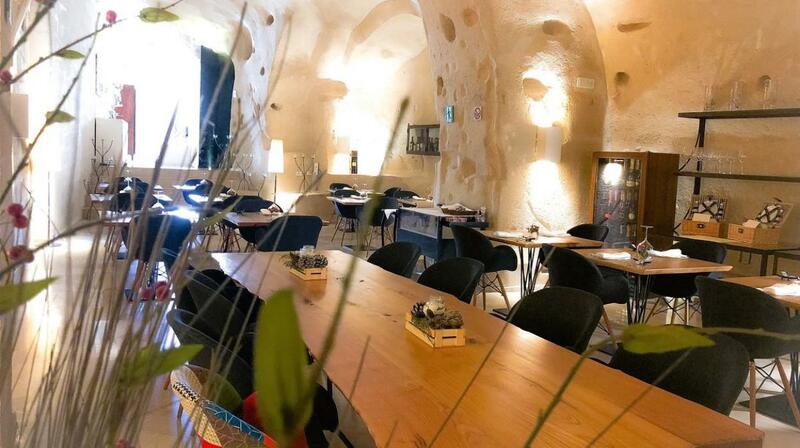 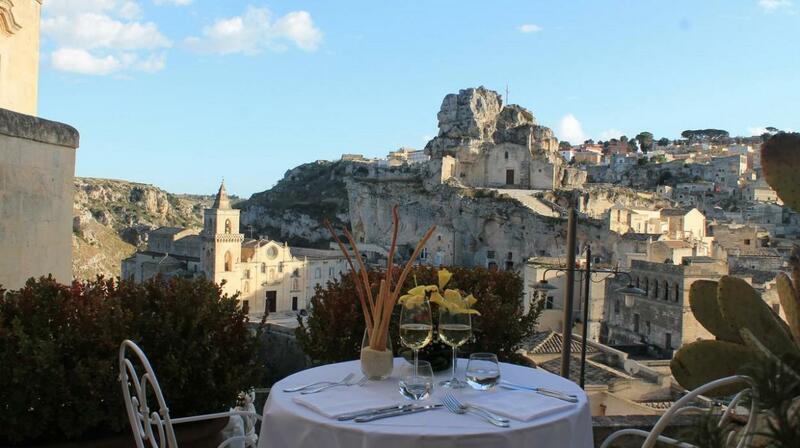 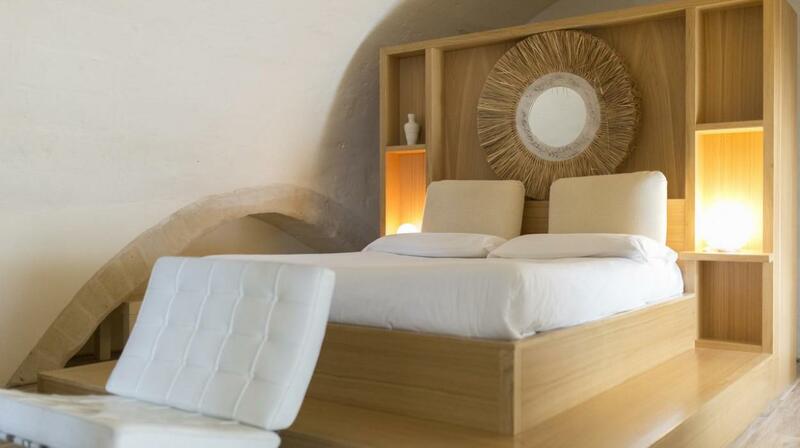 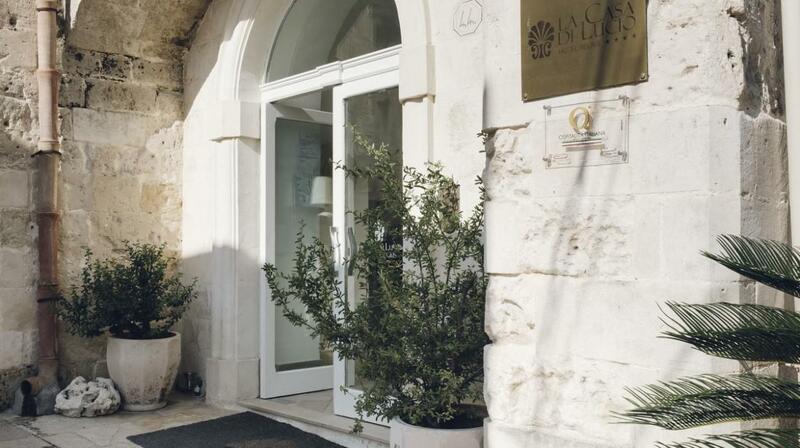 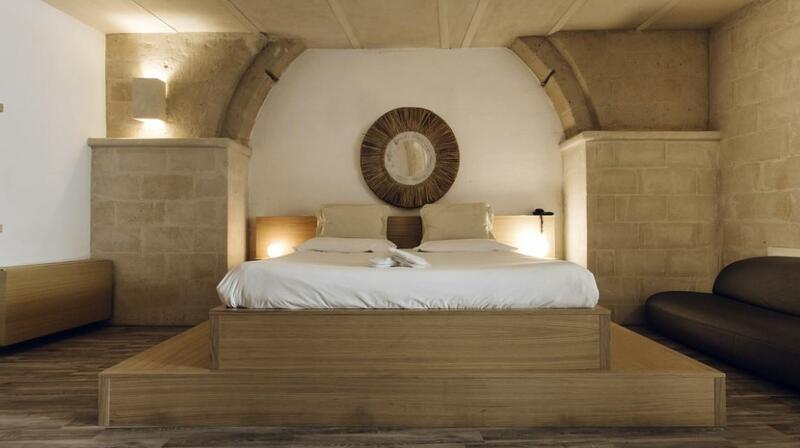 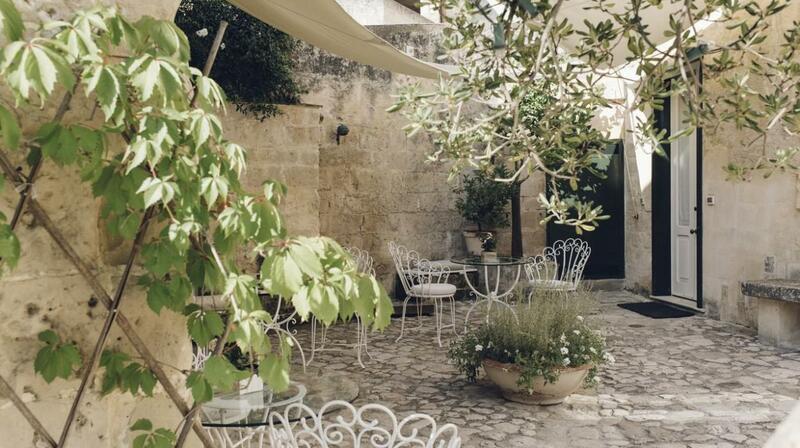 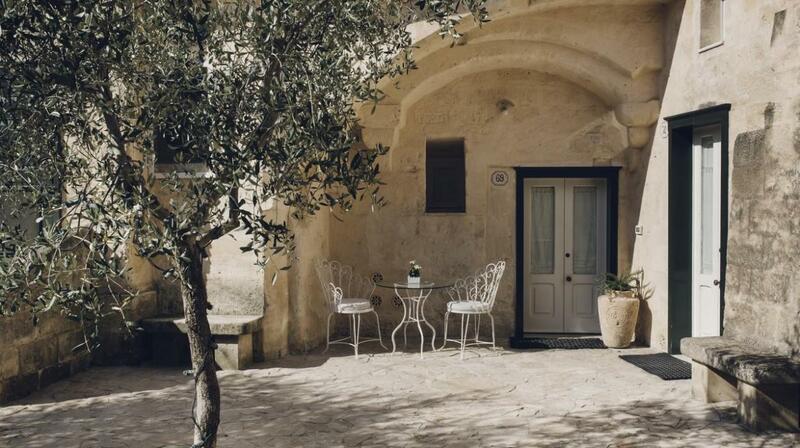 In the heart of the ‘Sassi’ rocks of Matera, “Hotel Relais La Casa di Lucio” gives you the opportunity to relive one of the most evocative, thousands-of-years old cities, excavated in rock. 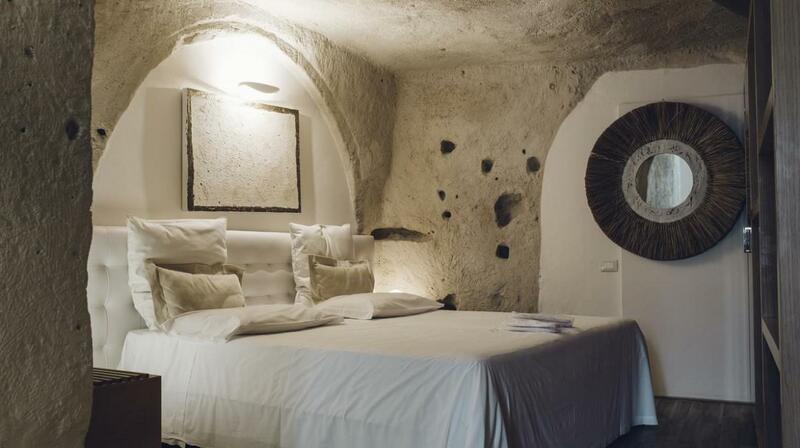 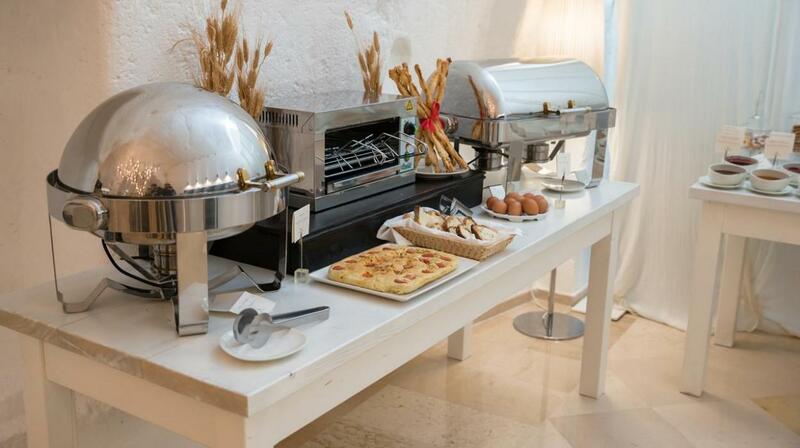 Fascinating, with its simple yet unusual elegance, the residence is an ideal place to stay where you are in contact with an ancient land and population, enjoying the fascination of a rich historical past and bizarre architecture. 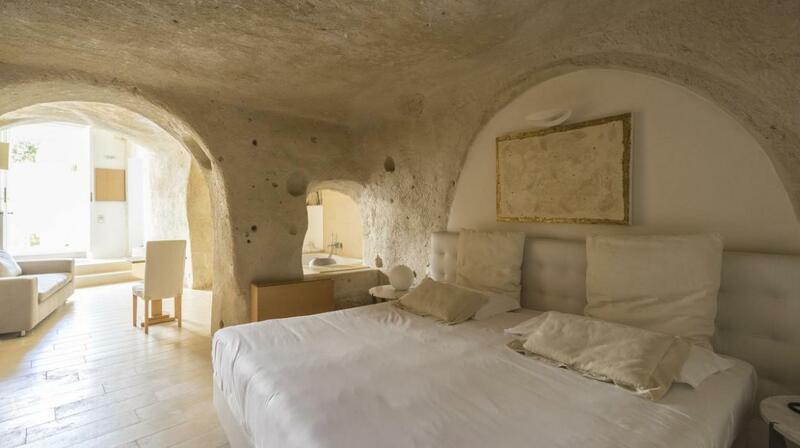 La Casa di Lucio is a historical 1600 palatial construction, renovated in 2001 and situated in ‘Sasso Caveoso’, Carried out by expert local master craftsmen, the lengthy and accurate renovation has completely preserved and enhanced the salient characteristics of the building: the large frescoed arched ceilings, the many niches in the soft rock, the arches and the excavated surroundings. 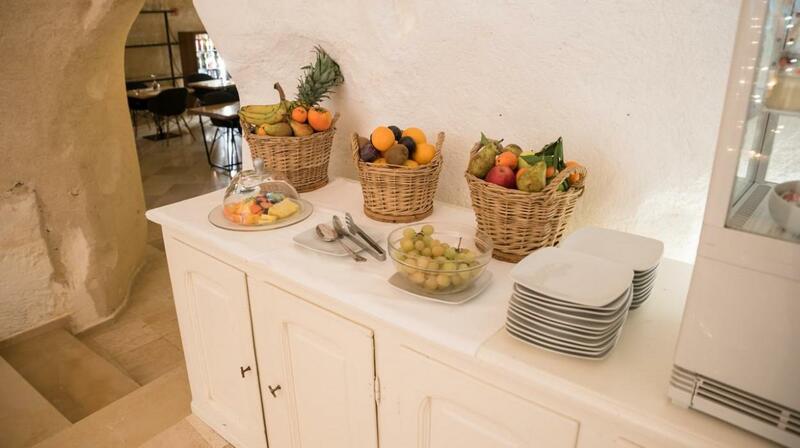 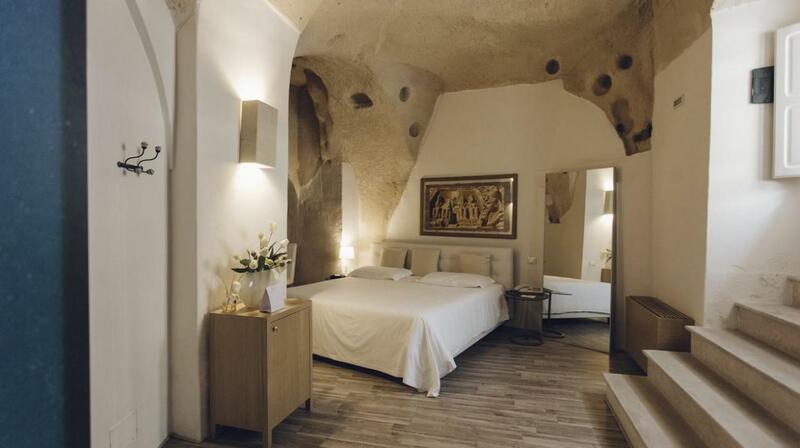 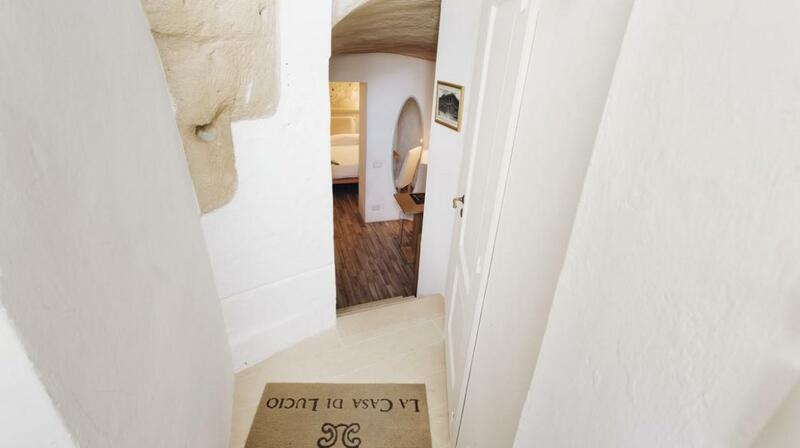 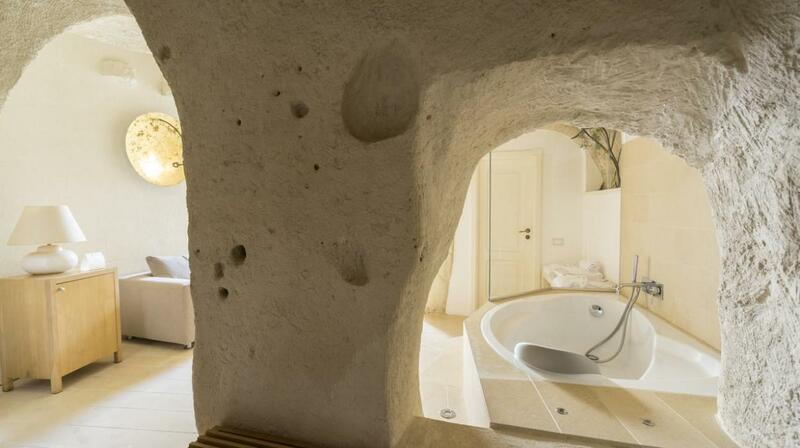 The elegant rooms allow you to experience the life and soul of the ‘Sassi’, through the grottoes and all the signs that history has handed down. 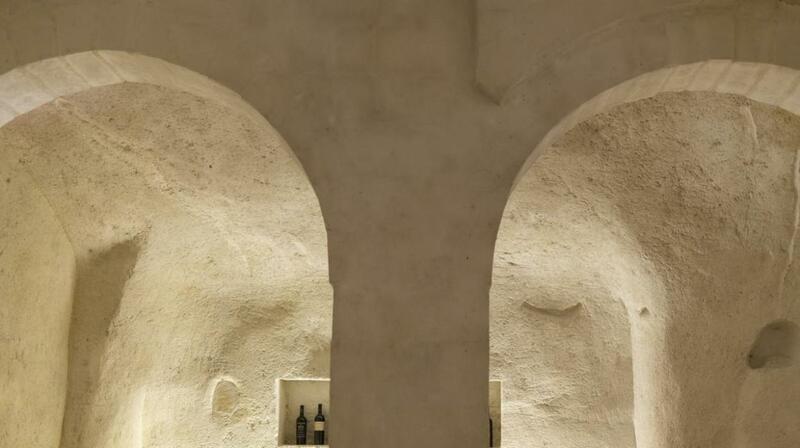 Like precious set jewels, the thousand architectonic features strike the eye in opportune contrast with modernity. 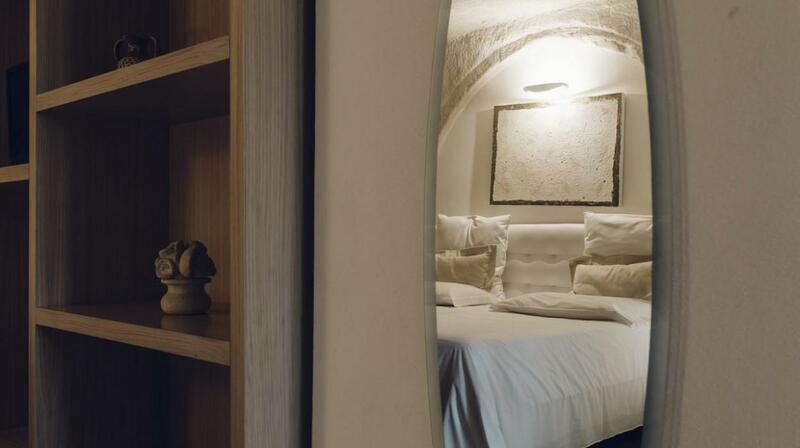 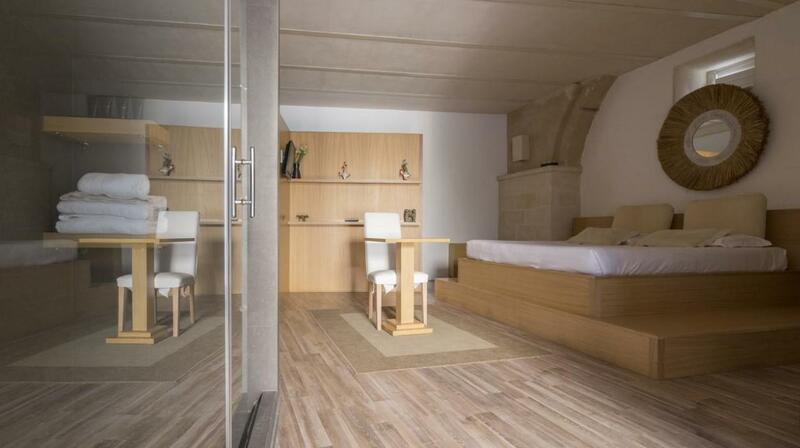 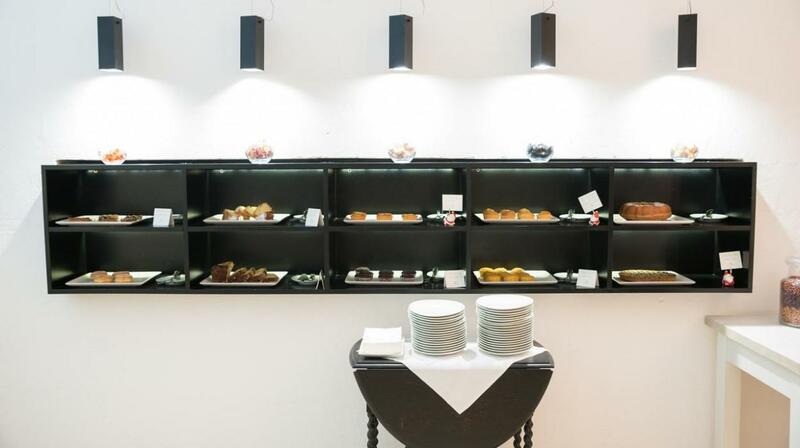 Two refined suites with splendid cross-vaulted ceilings, facilities completed down to the smallest detail and a characteristic terrace with a panorama as far as the eye can see, are aimed at a demanding clientele. 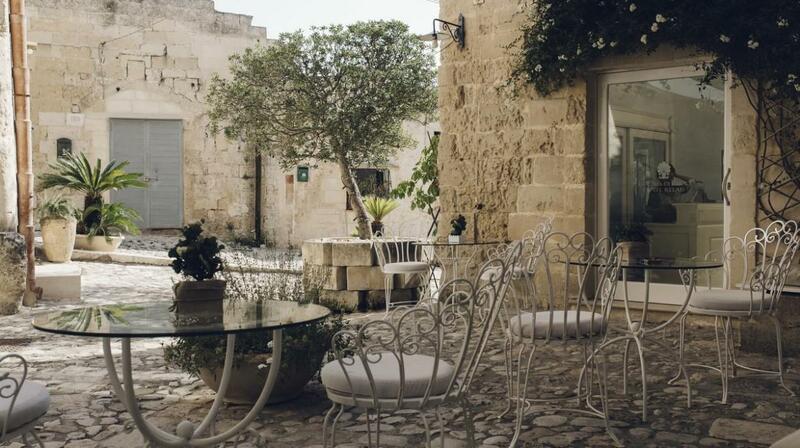 A lovely split-level loft with comfortable sofas and a small library, the magnificent scenario of the wild nature of the Murgia Matera Park and lastly, the cordiality and warm welcome of the owners, Anna and Lucio, complete the exquisite hospitality of this exclusive and very particular hotel – perfectly blended into its surroundings of immeasurable historical fascination.